For many years the U.S. Forest Service was considered one of the best federal agencies to work for. To those who don’t know, the service originated as a conservation agency, devoted to watershed protection and sustainable timber harvest. 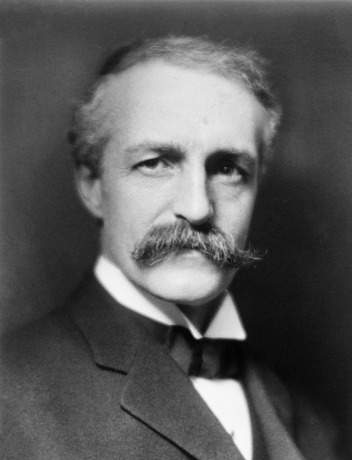 Until the 1930s, management of our national forests was mostly custodial. Boundaries were established and marked, field stations constructed, and later, telegraph and telephone lines installed. Early rangers caught game poachers, timber thieves, rogue miners, farmers illegally using the forest for their businesses, among other activities. They lived and worked out of remote cabins, which is part of why the Forest Service became a decentralized agency with much discretion left to local rangers. 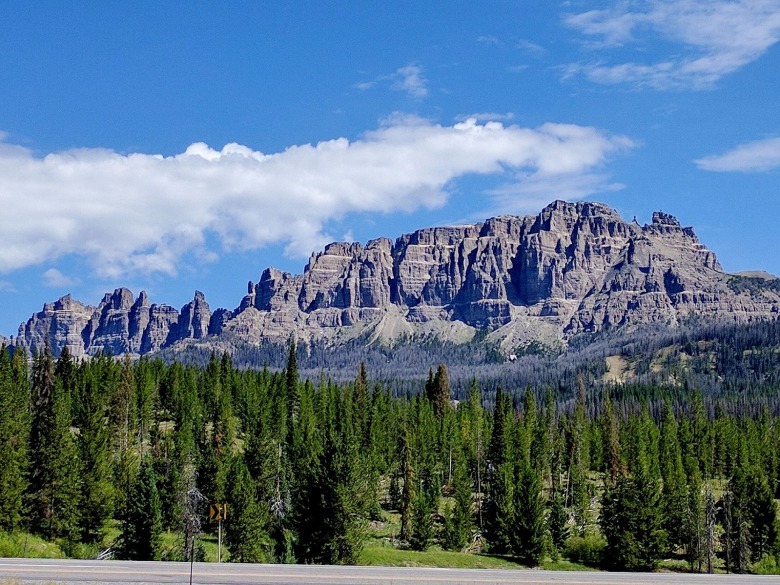 There is plenty of good information out there about Forest Service history, but a few things that are of relevance to morale are worth repeating here. Yes, morale, that essential word not oft mentioned but that which explains why good people choose to proudly wear the government uniform, often at low pay, knowing they are trying to serve the public good. Morale is as important, whether it involves government service or a private company. A place to work with great morale not only attracts people of high caliber, but it is an essential ingredient in retaining them. Today, the morale inside many federal land management agencies is in a free fall. To get at why, let’s first consider how the Forest Service built its morale. First of all, the Forest Service was well-thought of by the public, largely for its success in reducing wildfire. By the 1960s, the acreage burned by wildfire had declined by 90 percent compared to the 1930s. Over time, new and different kinds of uses fell under Forest Service management and the agency shifted focus in modern times. Demand for timber products after WWII was a primary influence, and the workforce swelled to respond. Timber production began a three-decade rise in 1940, topping 12 billion board-feet harvested between 1965 and 1975. During the same decades, Americans gained enough leisure time and prosperity to travel to the forests for recreation beyond uses of the backcountry by hunters, outfitters and dude ranchers. Timber production and public use of the forests clashed in the sixties and seventies as people seeking beauty found large clearcuts instead. Soil eroded into rivers and, as pioneering conservationist Bob Marshall, once a Forest Service employee himself, famously lamented, the nation’s wilderness was disappearing as quickly as a snowbank on a summer afternoon. The Forest Service became seen by many as an advocate for the timber industry and not much else. An explosion of reforms, new mandates and laws followed. 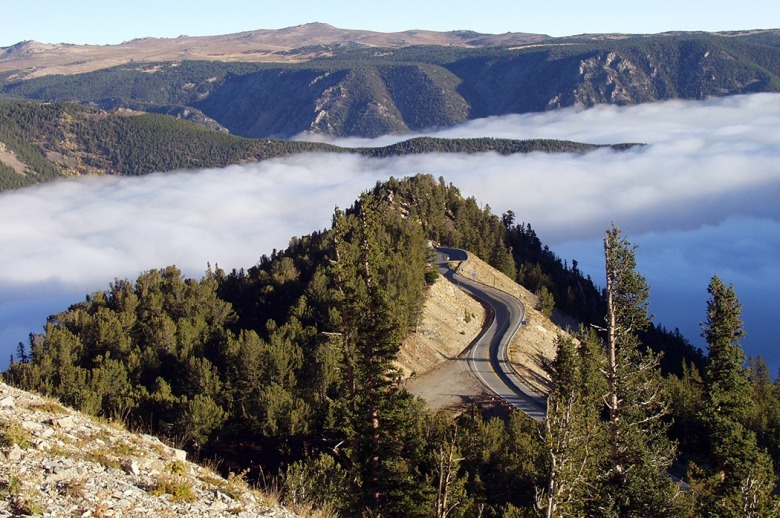 What citizens wanted from their national forests changed, and the old-line foresters now had to share their work space with wildlife biologists, soil scientists, and archeologists, many of whom were of a younger post-Earth Day generation. Gone were the days when everyone within the agency thought alike, and gone were the articles of praise by the press. Issues became more complicated as our understanding of nature grew beyond viewing the land only for its commodity exploitive value. We documented consequences of actions previously thought benign. Headlines covered fish populations endangered by logging runoff and the indiscriminate use of DDT and herbicides delivered by air over the national forests as well as private croplands. Insects and birds and other creatures suffered. Square-mile clearcuts graced the covers of conservation-oriented magazines. The Forest Service’s sense of purpose became muddled under laws meant to rein in the effects of maximum often single-focused timber production. Not only was the public raising a stink, but there was much internal disagreement about what the Forest Service should be doing and how new laws had to be implemented, like it or not. A good number of the district rangers I knew, long the paragon of the decentralized Forest Service, despised the Wilderness Act, for example, because it was a top-down law that took away their management discretion. Everything from wilderness to “’ologists” (resource specialists) to women were being shoved down their throats. [Read Marsh's recent piece, #MeToo In A Culture Of Good Old Boys]. Sadly, I experienced the much-reported downward trend in morale, and according to current employees I’ve talked to it has been especially severe in the last decade. Number one: centralization of administrative processes (human resources, finance, IT support). This has resulted in a shift in the administrative burden to each employee, including seasonal workers at the ranger districts. How did this happen, when centralization was thought to be the answer to duplication and inefficiencies? The problem rests in what the centralized “service centers” were set up to do, and this did not include specific tasks that can only be done at the local level. Gone are the personnel officers, computer specialists, and clerks whose work once supported the employees of a national forest or ranger district. Much of the work they did has been passed on to each field employee who now must take time to learn the minutiae of online forms for reporting travel expenses, overtime worked, and so on. Instead of walking down the hall to ask the personnel officer a quick question, they play phone tag with someone in a distant state who can’t really help them, so the “ticket” is passed on to a supervisor who may or may not return the call within a week’s time. The biggest problem with all this, a friend told me, is the sense that things are not going to get better. She questioned whether top leadership knows or cares that employees are struggling to keep up with the ever-increasing administrative burden while trying to find time for their real jobs, and she doubted that citizens care either. “They just want to have access to the forest and find decent roads and trails when they get there,” she said. But the decent roads and trails depend on forest employees getting out there to work on them. That is definitely where they’d rather be. A second morale-buster involves changing or conflicting mandates, priorities and direction. With increasing consolidation of forests and ranger districts and resource specialists shared between two or more, employees often answer to multiple bosses, each of whom has his or her own expectations. Third: lack of trust. Federal employees of all stripes are often characterized as drones with cushy benefits. They are blamed for actions and circumstances over which they have no control. When President Reagan declared himself a sagebrush rebel, he set the scene for decades of attacks against the agencies that were simply trying to do their jobs as required by law. The office bombings have dropped off since the '90s, but the ominous atmosphere continues. It is an atmosphere that allows a group of armed thugs to take over a wildlife refuge, expel employees, destroy government property and cause general mayhem, and then be acquitted of all wrongdoing. It is an atmosphere that makes employees wary of one another. Fourth: Up and down budgets. The basic operation and maintenance needs on a national forest don’t go up or down in response to falling budgets; they only go up. Costs increase each year for personnel, vehicles, and supplies, and the demands coming from the public to do more keep increasing. No private sector businessperson could operate successfully with the kind of conditions handed federal land management agencies. Once in a while, there is a monetary shot in the arm. In the early 1990s, President George H.W. Bush declared himself ‘the environmental president’ and funded the America Outdoors initiative, which sent a three-year boost to the recreation budget in national forests and parks. Able to get ahead on the backlog of deferred maintenance at campgrounds, trailheads, and roads, the Bridger-Teton jumped at the chance. I was thrilled to see the reconstruction of public campgrounds and major trailheads, with new handicapped-accessible toilets, tables, leveled parking pads, hitch rails and even some sturdy corrals. Water systems, bear-proof trash facilities, and a major clean-up at remote cabins rented to the public. Portals into the wilderness now had their access roads graded, graveled and rolled to allow people to actually reach the new trailhead parking areas while hanging on to their mufflers. Then the money dried up and it hasn’t come back. Twenty-five years later, with no funds for maintenance, the roads have gone back to their earlier condition and you once again can’t drive to the trailheads. As one who helped make all that improvement possible in the early 90s, it breaks my heart. As a taxpayer, it makes me angry. And as a former Forest Service employee who once took pride in such work, it makes me sad for those still working who are unable to reverse the downward trend. More with less is a time-worn mantra of the can-do Forest Service, but after a while the less becomes so little that it feels like starvation. Even with working extra hours without pay, donating leave at the end of the year, spending nights and weekends writing grants to help boost the budget, it’s never enough to meet all needs. One employee I talked to recently said that the mantra has changed in the face of reality—you must start doing less, she is told. It is fine to be given permission by one’s employer to do less, though it’s rare to hear exactly what you are meant to stop doing. And the less with less refrain does not translate to fewer expectations from the public. In 2004 came the Federal Lands Recreation Enhancement Act, which allowed the national parks, forests, and other agencies to keep certain recreation fees at the local level. Fees collected from outfitter-guides, rental cabins, and campgrounds were included, and those who used the facilities or paid the fees expected to see some on-the-ground improvements for their money. Predictably enough, as enhancement fees were retained at the forest level, appropriated funds went down. It quickly became a battle to retain the fees collected for their intended purpose rather than paying for permanent employee salaries and even overhead. The battle continues, and people need to know that without those fees, along with numerous grants and partnerships and some of the forest’s work being accomplished by non-profits, there would be no trail crew, campground crew, river rangers, or wilderness rangers. After a while, all of this wears even the most dedicated employees down. It wore me down to the point of giving me eyelid tics, arrhythmia, and heartburn, not to mention general crankiness from lack of sleep. I retired as soon as I was eligible. The agency that once ranked at the top of a long list of employers in government now hovers, according to the organization Best Places to Work (bptw.org), in the lowest quarter of the pack of nearly 340 government entities. Why do employees rank it as such a poor place to work, when most of them still love the national forests and don’t want to work anywhere else? "The agency that once ranked at the top of a long list of employers in government now hovers, according to the organization Best Places to Work in the lowest quarter of the pack of nearly 340 government entities." The answer may lie in disappointment. The ranking resulted from employee answers to three questions from a longer survey: (1) I recommend my organization as a good place to work; (2) Considering everything, how satisfied are you with your job? and (3) Considering everything, how satisfied are you with your organization? Best Places to Work chose these questions as indicators of how likely employees are to remain in their jobs, but I read them as signs of sorrow. The organization has let them down, but the national forests have not. Most of them will stay. 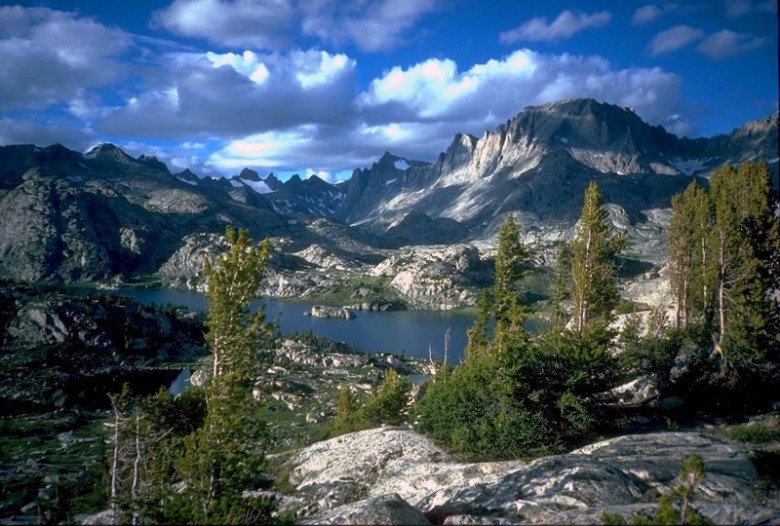 In 2005, to celebrate the Forest Service’s centennial, an award-winning film, The Greatest Good, was released. 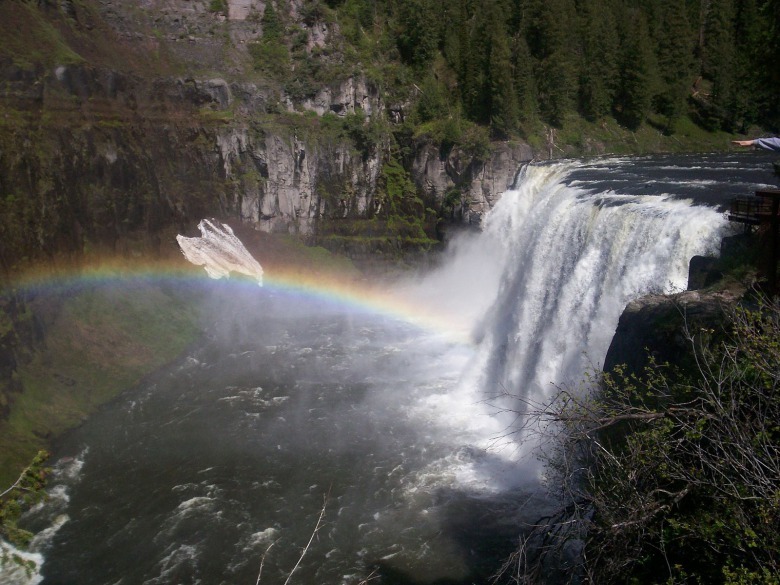 After a screening in Yellowstone National Park I saw many damp eyes. The film made you proud of the agency, its heritage and accomplishments. It made you proud of its mission to which you were a small contributor. People went home from that meeting psyched to get back to work. For my tax dollar, I’d like to see those employees stay psyched and be rewarded for their passion. Get them out of the office and into the woods with their Pulaskis and road graders and bundles of toilet paper for the outhouses. Let them greet visitors and share their vast knowledge of the forest and have conversations about how they can best do the work of the people. Let them do it without fear of being punished for demonstrating their enthusiasm and love of the land. And of course, give them the resources they need to do that work. The happier employees are in their jobs, the more they get done. Maybe a first step in regaining some employee morale is to add The Greatest Good to the mandatory training to be administered annually – not to employees who already have the Forest Service mission in their hearts, but to Congress, which burdens them with time-wasting tasks and withholds funding, and the administration, which may or may not understand what the agencies under its umbrella are meant to do. Perhaps that first step would result in a second, a release of what has always been a decentralized on-the-ground agency to do the work of the American public in collaboration with those it is supposed to serve. From Fred Putnam, Jr: The story by Susan Marsh about the low morale in the USFS really struck a chord, especially her statement about being worn down finally. I retired from the USFS a few years ago and that's where I was, too. As a public employee (no, I'm not your servant! ), I did a lot of tangible good for my co-workers, our visitors, and the American people but the political Administrations and the Congress don't have a clue what we all were (and are) going through daily. I was happy to have had some very good years with the USFS but the struggle to keep from bogging down under the increasing administrative burden and the relentless reduction in resources was becoming very exhausting after years of trying. I have great empathy for those great people who have followed me; I know it has not become any easier. Unfortunately, I've come to believe that the decreased effectiveness of our Federal Agencies is a specific political goal (with multiple sub-goals) so I see no relief in sight for them - very regrettably and to the detriment of the American people who increasingly rely upon the public lands that they manage. 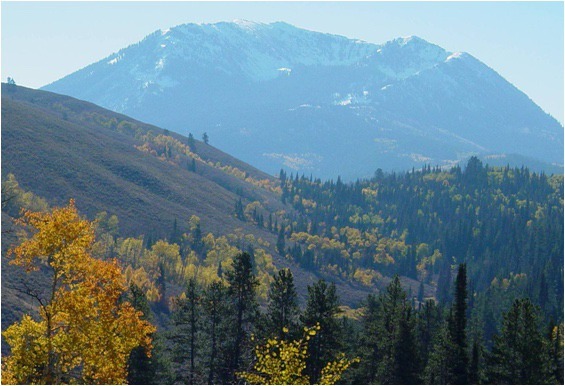 From Susan Doran: I grew up in the USFS. My dad began working for the agency in 1956, retiring after 28 years, I also spent a few years with them as a guardian upon a mountain top, a chaser of smoke. And at one time was married to a career employee for a period of time, I also have friends that are life long employees so I am familiar with the transitions. I remember the pride of my father, then the years where his pride turned slowly to embarrassment, and confusion, as it has with myself and my friends in seeing these transitions. Stripping out local contacts, "centralizing", no local interactions, no wonder there is distrust with the "local". Gone are local crews, friendly baseball games with volunteer fire departments, potlucks, etc. All of this has done nothing but build animosity with people, break it back down, bring back the local Ranger Districts. Get rid of the Big Brother attitude. Watching over a lifetime of our healthy forests failing, our forest economies falling, the young people no longer walking with pride under the badge of the USFS has been a bittersweet ending to a love affair I have had since a young child with our national forests, and at they have stood for. A hell of a way to spend the fall of my life. It is time to bring back people, cut the bureaucracy. 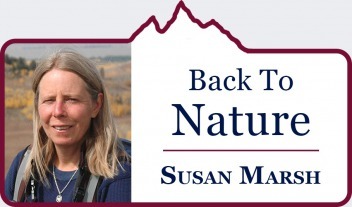 From Frank Carroll: Susan Marsh may have missed Clark and McCool's book, Staking Out the Terrain, about the major federal land management agencies. Clark and McCool rated the Forest Service as the Superstar Agency with the rest being falling stars etc. In 1960, Herbert Kaufman finished his great work on the Forest Service titled The Forest Ranger. Kaufman said you have to have several attributes to be a ranger. You have to be willing to conform to policy and regulation. Conformance allows a decentralized agency to be decentralized, knowing its rules will flow outward to the ground. You have to have the right education, in forestry or other disciplines, for the job you have. Only pros were in the ranger ranks, many of them coming back from war. Military men led the agency for decades. You had to be willing to move. We didn't want our rangers captured by special interest groups like the timber industry or ranchers, so periodic moves allowed them to learn new things and bring fresh eyes to old problems. 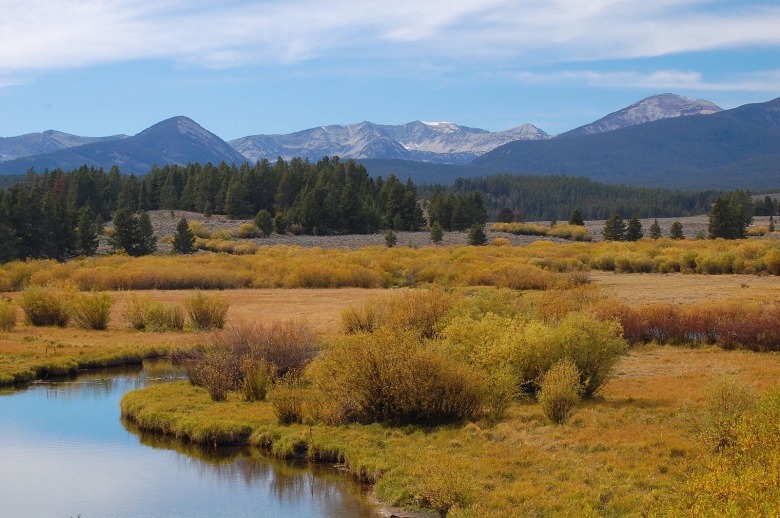 The most powerful and successful federal land management agency in our history, the United States Forest Service, fell from grace for many reasons. But, it's not over. A new Era is on the horizon, one filled with promise and trials in which the great people of the Forest Service family will rise to the challenge because that's who they are. From Anonymous in Eastern Oregon (identity verified but did not want name used because still in active service): I just wanted to say Thank you for publishing the Susan Marsh articles. This hide and duck strategy the Forest Service employs to shirk it's duty to correctly process EEO complaints as well as their penchant for hiding and protect bullies and other offenders has got to stop. Hiring is the first step, but the agency doesn't seem to be able to police itself and hire kind people. That's where the horrendous politics comes in. Let that be your next article Susan. Talk more about hiring. The hiring of cronies (and the most malleable) over the most qualified. Some of us don't even bother applying for jobs anymore.